To print out at home, click here. For best results, print out "actual size" rather than "fit to page." And remember, it's double-sided! 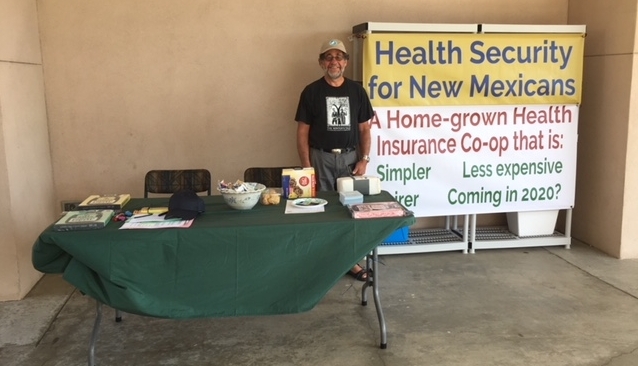 Our mini handout had its public debut in Los Alamos, where Health Security supporters Tyler Taylor, Susan Gisler (pictured below), and Galen Gisler (pictured below) put together a Health Security table at Chamberfest.